To make the most of your commercial property investment, use these tips to improve your return-on-investment performance. Any commercial investor or active commercial property owner worth their salt is always seeking ways to improve the cash flow gleaned from their investment. There are obvious methods to improving Net Operating Income (NOI), which is a key factor in generating cash flow, such as increasing rent or securing long-term leases for currently vacant office space, as two examples. What’s more, generally keeping your tenants happy, i.e. being a great “landlord”, also helps in this regard. That said, it’s those property owners that not only do the obvious but are also driven to find less obvious ways to increase profits, that maximize their return-on-investment over the long term. Let’s take a step back for a minute to define some terms to frame this discussion and to include those readers that might be new to the commercial real estate management game. So, put simply (there are seemingly endless complexities and nuances to valuation and proforma metrics), increasing NOI should increase cash flow and make your building’s capitalization rate (the NOI to market value of the property) improve. Now onto the important question at hand: What are some lesser known yet effective ways to improve NOI and cash flow? Let’s dig into it. Resist the urge to skimp on regular maintenance expenses for short term gains. Proactive property maintenance makes sense on so many levels: it keeps your tenants happy and your occupancy rate stabilized; it creates a safe environment; it helps prevent litigation; and it preserves your property value. But the biggest benefit to executing a consistent, proactive maintenance plan is expense predictability. While no maintenance program can prevent 100% of emergencies and catastrophic building issues, regular maintenance can help reduce this risk significantly. 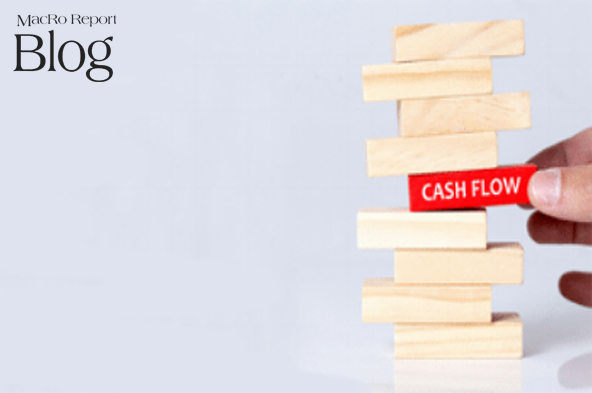 What kills NOI and cash flow is not regular, predictable maintenance expenses but seemingly out of the blue major capital expenses that blow up your annual budget and throw your cash flow off for a few years. Note: This blog deals with post-purchase cash flow tips; however, deferred maintenance is an important item to identify during your due diligence process as failing to identify a prior owner’s lack of maintenance can be devastating to an unknowing investor. Refinancing a loan can be a solid avenue to improving your property cash flow. By reducing your loan rate by a percentage point, you lower your annual debt service, thereby reducing expenses. Now, the market conditions have to be right to take this approach, and it’s typically not something an owner or investor will do on an annual basis. However, a shrewd refinance move for your property can give your cash flow a needed, albeit shorter term, shot in the arm. Making your building more energy efficient can reduce operating costs significantly. In many cases, the cost savings that result are sustainable and predictable as well. The key here is grabbing more control over your building’s energy-related performance. Look, this does not mean you have to install a solar array on your roof or force employees to use composting toilets. Start simple. Replacing inefficient light bulbs with LED lighting in your entire building is a very simple start that can save you quite a bit of cost, particularly in larger properties. Another lower cost and less disruptive fix is to install motion detection lighting so that lights shut off when no one is in a particular office during business hours. Energy efficiency improvements can be done gradually, over time. Start easy and work your way up. There is no question, however, that creating an energy efficiency process (like regular maintenance processes) can help your NOI and cash flow long term. The key for property owners is to weigh the typically high upfront costs for major energy capital expenses with the longer-term return. To read more about energy efficiency ideas, check out the MacRo Report Blog: Energy Savings Tips for Commercial Property Owners. There are also financing opportunities for energy efficiency projects offered through the PACE program. As a commercial property owner, or a soon-to-be-owner, you either understand or will soon understand that vacancies are the biggest anchor for NOI and cash flow. Unoccupied space for any extended period kills your bottom line. While you don’t want to put out a ton of cash to market your building if it’s full, it’s important to be prepared from a financial and resource standpoint to market your building. The key here, again, is to be sensible but proactive; maintain a small marketing budget and program to keep your space top-of-mind while preserving financial resources to scale up should a slew of unexpected vacancies hit your property. It’s much easier to scale up marketing efforts from minimal to substantial than from zero to overdrive. Again, be sensible but proactive with marketing. In addition, maintain strong relationships with your CRE network, including your relationship with an expert local commercial real estate broker that can help you fill vacant space quickly via their tenant networks. In good times, when your property is full with great tenants that pay their bills, resist resting on your laurels, and keep your toe in the marketing waters to better navigate unforeseen stormy weather ahead. MacRo Commercial Real Estate has decades of experience helping commercial real estate owners and investors protect their property assets. If you’re looking to invest, or are struggling to mitigate any of the risks listed above, we can help. Become a MacRo Insider and email rocky@macroltd.com today and let’s start the conversation.